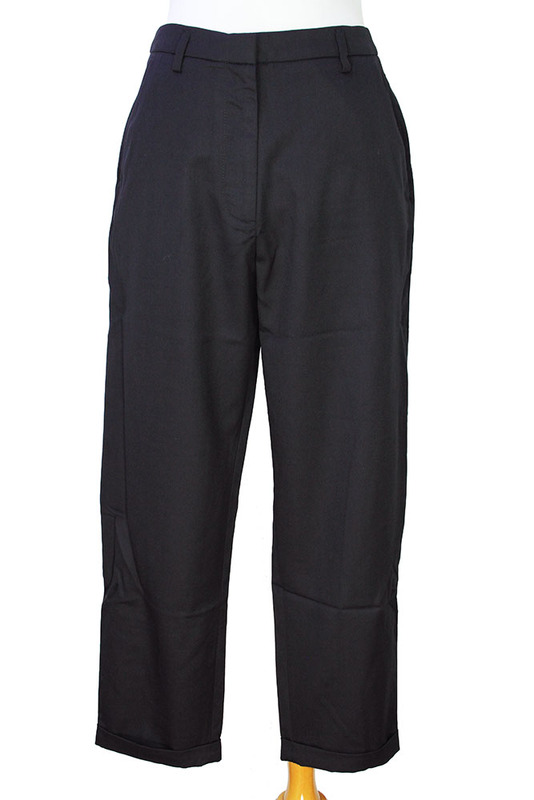 Ivan Grundahl 'Hire Pant' trousers in black wool. Belt loops. Clip, button and zip fly fastening. 2 angled side pockets and 2 rear pockets, the left one with flap and button fastening and the right with just button fastening. Small turn-ups at hem. 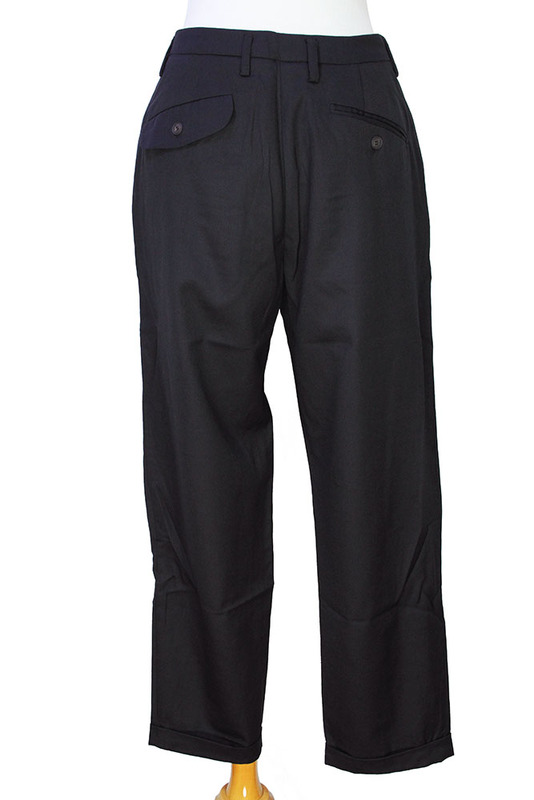 Lovely, easy beautifully styled trousers that match the jacket in the same fabric.